Disney Infinity 3.0 is coming up this year! This year’s instalment will revolve around Star Wars. 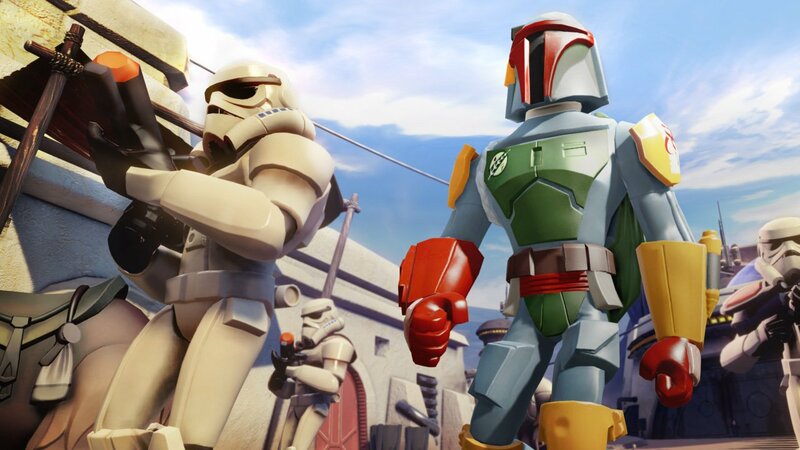 Even though Disney Infinity is available across multiplatforms, Sony will get their own exclusive starter pack which will include the fan favourite, Boba Fett. Check out more about the exclusive bounty hunting below. Additional Star Wars Play Sets will be available for Disney Infinity 3.0 Edition and sold separately this holiday, including Star Wars Rise Against the Empire and Star Wars™The Force Awakens™. In addition, players will be able to unlock the ability for all Star Wars characters to play inside all of the Star Wars Play Sets, as well as in the newly enhanced Toy Box, along with all characters previously released for Disney Infinity. The game is rated E10+ by the ESRB and will be available this fall.